The Armenian silver bullion coin series is a rather new one that depicts a scene from the tale of Noah’s Ark. Similar to the other famous silver coins, a primary characteristic of the Silver Armenian Noah’s Ark coin is the use of the same image on the coin’s reverse side from year to year. Among the more popular weights is the 2014 1/4 oz Silver Armenian Noah’s Ark coin. Each of these coins contain .25 troy ounces of .999 fine silver and have a legal tender value of 100 Drams. 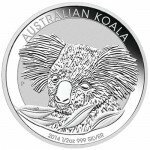 The first Noah’s ark silver coins were issued in 2011. These Silver Armenian coins are available in weights varying from the 2014 1/4 oz Silver Armenian Noah’s Ark to a 5 kilogram weight. The coin comes with a face value of 100 Dram and is considered legal tender in the nation of Armenia, but it is not physically minted within the Eastern European nation’s borders, but rather they are produced in Germany. Noah’s Ark tells the story from Genesis in the Christian bible about God’s use of a massive flood to punish mankind. The pious Noah and his family were the only ones spared punishment by God, and provided with instructions to complete a massive ark. For its part, Armenia has a deep connection to Christianity. It was one of the first nations to identify Christianity as its official religion. Additionally, the biblical resting place of Noah’s Ark is Mount Ararat, which was formerly located within the borders of Armenia. 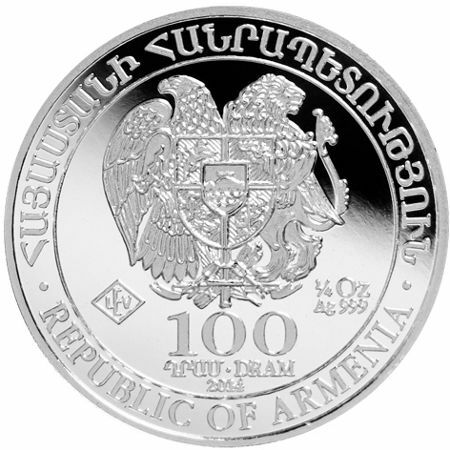 The obverse side of the 2014 1/4 oz Silver Armenian Noah’s Ark coin contains the national coat of arms. The phrase “Republic of Armenia” is engraved twice on this side of the coin. Above the coat of arms, the phrase is engraved in Armenian. Below, it is engraved in English. The purity, metal content, weight, and minting year are included on this side as well. On the coin’s reverse is the image of an ark floating atop a massive sea. Behind the ark is the image of the sun rising over a mountain range. In the foreground, a dove flies off the coin with an olive branch in its beak. Engravings on this side include the phrase “Noah’s Ark” in both English and Armenian. All orders that are placed with Silver.com are packaged with safety and will include full shipping insurance. 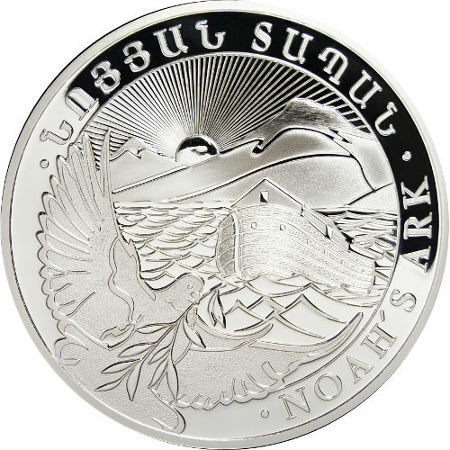 If you should come across any questions about the 2014 1/4 oz Silver Armenian Noah’s Ark Coins prior to ordering, please call Silver.com at 1-888-989-7223. We would also be happy to answer any of your questions through live chat or email.